This study is related to the first time hygroscopic enhancement factors retrieved directly for ambient aerosols using remote sensing techniques are combined with on-line chemical composition in-situ measurements to evaluate the role of the different aerosol species on aerosol hygroscopicity at ACTRIS SIRTA observatory. The results showed 8 cases that fulfilled strict criteria over 107 cases identified in this study. Based on balloon-borne measurements performed in India and Nepal in 2016–2017, we infer the vertical distributions of water vapor, ozone and aerosols in the atmosphere, from the surface to 30 km altitude. Our measurements show that the atmospheric dynamics of the Asian summer monsoon system over the polluted Indian subcontinent lead to increased concentrations of water vapor and aerosols in the high atmosphere (approximately 14–20 km altitude), which can have an important effect on climate. Ultra-high-frequency radar wind profilers are widely used for remote sensing of horizontal and vertical wind velocity. They emit electromagnetic radiation at a wavelength of 60 cm and receive signals from both falling particles and the air itself. In this paper, we describe a method to separate both signal components with the help of an additional cloud radar system in order to come up with undisturbed measurements of both vertical air velocity and the fall velocity of particles. This paper builds upon the work in von Clarmann and Grabowski (AMT; 2007) concerning the a priori profile influence in the optimal estimation method applied to active remote sensing measurements, with examples given for lidar retrievals of temperature and water vapour mixing ratio. 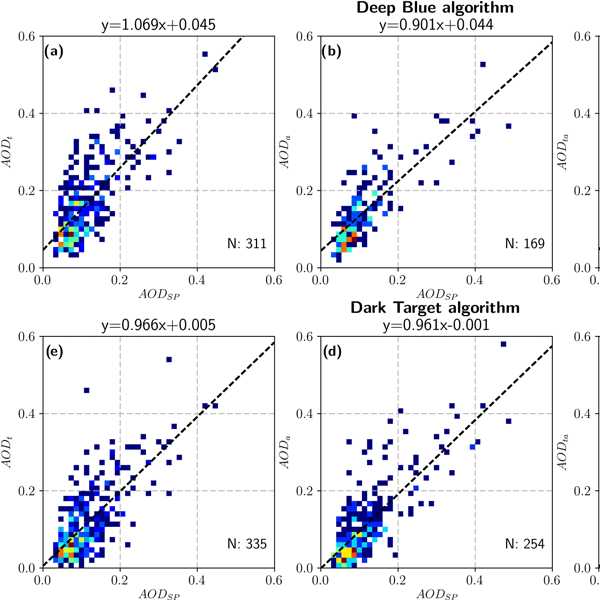 The optimal estimation method is a new technique for many active remote sensing researchers. This study gives insight into understanding the affect on retrievals of the a priori information. 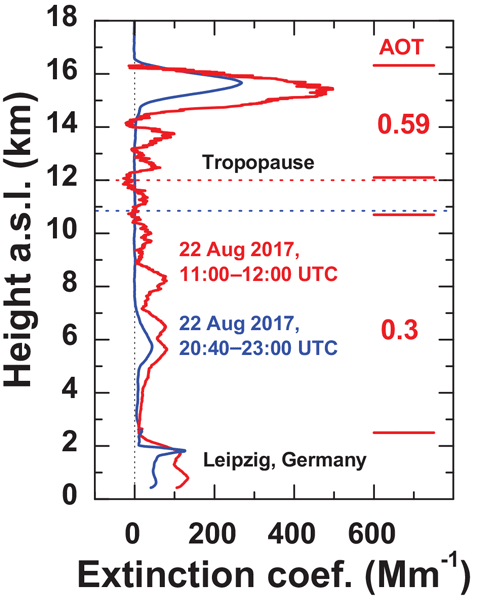 Lidars are well-suited for trend measurements of water vapour in the troposphere and lower stratosphere. The lidar's calibration can be affected by a lack of co-location between the balloon and lidar. We present a tracking calibration method which allows only periods when the balloon and lidar share a common volume of space to be used. This method allows nights with high variability in water vapour to be included in the calibration, improving the quality of the measurements for trend analysis. Fog and low clouds (FLCs) are a valuable source of water for many ecosystems in the Namib. This study presents the first fully diurnal satellite detection of FLCs, revealing the spatial and temporal patterns in the Namib. A validation is conducted against station measurements in the central Namib and shows a high overall accuracy. The average timing and persistence of FLCs seem to depend on the distance to the coast, suggesting that the region is dominated by advection-driven FLCs. The Baseline Surface Radiation Network (BSRN) collects and centrally archives high-quality ground-based radiation measurements in 1 min resolution. More than 10 300 months, i.e., > 850 years, of high-radiation data in 1 min resolution from the years 1992 to 2017 are available. 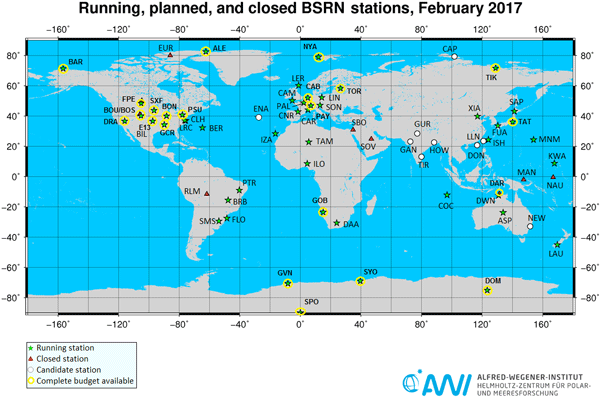 The network currently comprises 59 stations collectively representing all seven continents as well as island-based stations in the Pacific, Atlantic, Indian and Arctic oceans. A scientific approach is presented to aggregate and harmonize a set of 60 geophysical variables at hourly scale over a decade, and to allow multiannual and multi-variable studies combining atmospheric dynamics and thermodynamics, radiation, clouds and aerosols from ground-based observations. 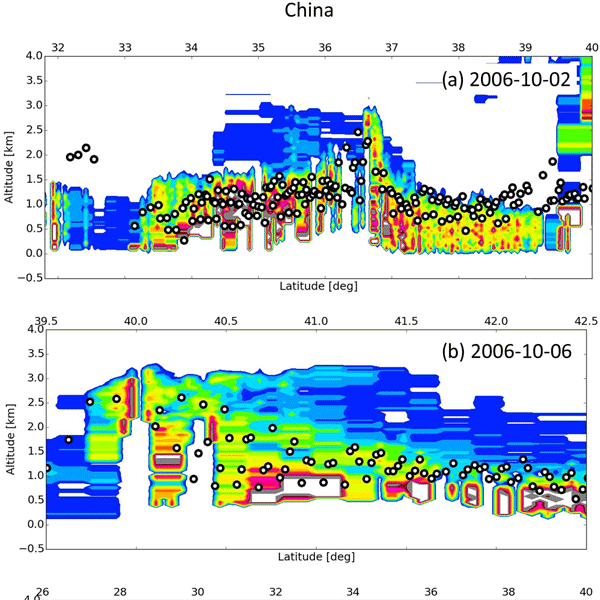 Our study first conducted a long-term observation of mixing layer height (MLH) with high resolution on the North China Plain (NCP), analyzed the spatiotemporal variations of regional MLH, investigated the reasons for MLH differences in the NCP and revealed the meteorological reasons for heavy haze pollution in southern Hebei. The study results provide scientific suggestions for regional industrial structure readjustment and have great importance for achieving the integrated development goals. This paper provides a very simple method for UV index estimation from PAR measurements. These latter are generally performed by cheaper instruments and commonly found in any ordinary meteorological station. A large dataset collected in South America and Europe was used to test this method and thes results are comparable to the instrumental errors. For this reason, the method is a useful tool for UV index evaluations in regions lacking adequate instrumentation. The paper presents assessment of the stratospheric measurements of a relatively new temperature radiometer (TEMPERA) at 60 GHz. 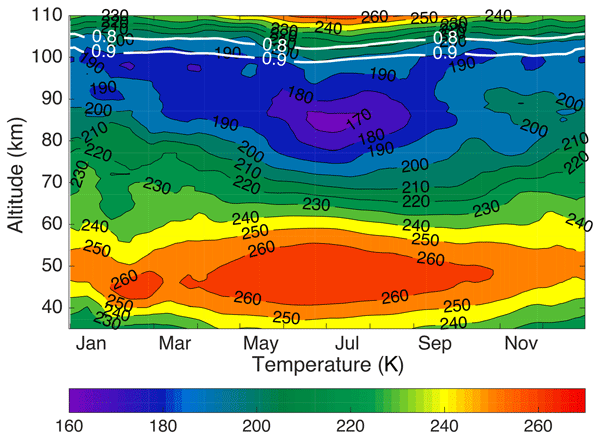 The temperature profiles from TEMPERA have been compared with measurements from different techniques such as radiosondes, MLS satellite and Rayleigh lidar and with the temperature outputs from the SD-WACCM model. The results showed absolute biases and standard deviations lower than 2 K for most of the altitudes and comparisons, proving the good performance of TEMPERA. Modern data assimilation systems require knowledge of the typical differences between observations and model background (O–B). This work illustrates a 1-year O–B analysis for ground-based microwave radiometer (MWR) observations in clear-sky conditions for a prototype network of six MWRs in Europe. Observations are MWR brightness temperatures (TB). Background profiles extracted from the output of a convective-scale model are used to simulate TB through the radiative transfer model RTTOV-gb. We present the PathfinderTURB algorithm for the analysis of ceilometer backscatter data and the real-time detection of the vertical structure of the planetary boundary layer. PathfinderTURB has been applied to 1 year of data measured by two ceilometers operated at two Swiss stations: the Aerological Observatory of Payerne on the Swiss plateau, and the Alpine Jungfraujoch observatory. The study shows that aerosols from the boundary layer significantly influence the air measured at Jungfraujoch. Air traffic at busy airports can be significantly disrupted because low visibility due to fog makes it unsafe to take off, land and taxi on the ground. In this paper we show how automatic profiling lidar ceilometer measurements, available at most airports, can be used to provide pre-fog alert information, and hence help airport weather forecasters to better predict these low visibility conditions. This research was carried out in the context of a field campaign at Paris CDG airport (France). The paper presents the assessment of the tropospheric measurements of a new temperature radiometer (TEMPERA) at 60 GHz. The temperature profiles from TEMPERA are compared with independent in situ radiosonde measurements. The TEMPERA performance is also compared with that of a commercial microwave radiometer (HATPRO). In addition, the brightness temperatures from both microwave radiometers are compared with the ones simulated using a radiative transfer model, ARTS. This article prescribes a standardized approach for the treatment of uncertainty in the backscatter temperature lidar data processing algorithms. The recommendations are designed to be used homogeneously across large atmospheric observation networks such as NDACC, and allow a clear understanding of the uncertainty budget of multiple lidar datasets for a large spectrum of middle atmospheric science applications (e.g., climatology, long-term trends, mesospheric tides, satellite validation). Ceilometers lidars are useful to study clouds, aerosol layers and atmospheric boundary layer structures. As sensor optics and acquisition algorithms can strongly influence the observations, sensor specifics need to be incorporated into the physical interpretation. Here, recommendations are made for the operation and processing of profile observations from the widely deployed Vaisala CL31 ceilometer. Proposed corrections are shown to increase data quality and even data availability at times. Hereby, we present a new backscatter lidar forward operator which allows for a quantitative comparison of atmospheric chemistry models and backscatter lidar measurements. We applied the operator on model predictions of the 2010 Eyjafjallajökull eruption where the model obviously overestimated the ash concentration. Uncertainties of the operator were minimized by applying averaging algorithms and performing sensitivity studies. Further steps towards quantitative model validation were identified. Imperfections in a lidar's overlap function lead to artefacts in the lidar (Light Detection and Ranging) signals. These artefacts can erroneously be interpreted as an aerosol gradient or, in extreme cases, as a cloud base leading to false cloud detection. In this study an algorithm is presented to correct such artefacts. The algorithm is completely automatic and does not require any intervention on site. It is therefore suited for use in large automatic lidar networks. Comprehensive field campaigns dedicated to fog life cycle observation were conducted during the winters of 2010–2013 at the SIRTA observatory in the suburb of Paris. The objective of this paper is to evaluate the impact of aerosol particles on the fog microphysics through an original method. We conclude that the actual supersaturations reached during these fog episodes are too low and no simultaneous increase of aerosols (D > 200 nm) and droplet concentrations can be observed. The atmospheric science community demands for autonomous and quality-assured vertically resolved measurements of aerosol and cloud properties. For this purpose, a portable lidar called Polly was developed at TROPOS in 2003. This lidar type was continuously improved with gained experience from EARLINET, worldwide field campaigns, and institute collaborations within the last 10 years. We present recent changes to the setup of our portable multiwavelength Raman and polarization lidar PollyXT. This is the first paper to validate and characterize mixing layer height and discuss its relationship with air pollution, using a ceilometer in Beijing. The novelty, originality, and importance of this paper are as follows: (1) the applicable conditions of the ceilometer; (2) the variations of mixing layer height; (3) thermal/dynamic structure inside mixing layers with different degrees of pollution; and (4) critical meteorological conditions for the formation of heavy air pollution. The manuscript is the first paper to validate and discuss the high-resolution vertical profiles of aerosols using a ceilometer in Beijing, China. We introduce the contribution of aerosols during different air pollution episodes in Beijing. Also, we seize the opportunity of emission reduction during APEC to study the contribution of aerosols. The results are helpful to provide guidance in redefining coordinated emission control strategies to control the regional pollution over northern China. 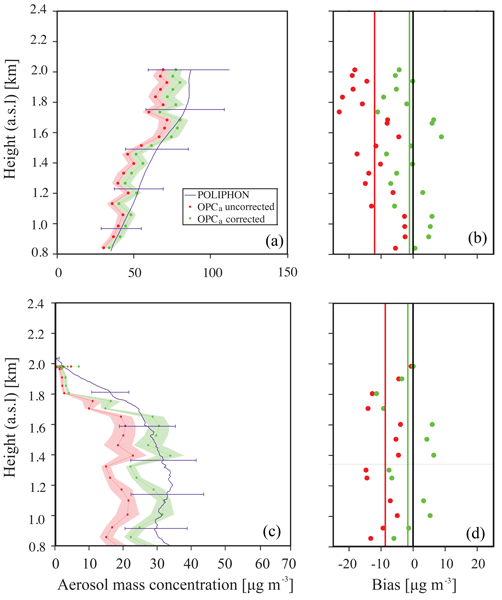 The expedited near-real-time Level 1.5 Cloud-Aerosol Lidar with Orthogonal Polarization version 3 products were evaluated against data from the ground-based European Aerosol Research Lidar Network. The statistical framework and results of the 3-year evaluation of 48 CALIOP overpasses with ground tracks within a 100km distance from operating EARLINET stations are presented. In the framework of the ACTRIS summer 2012 measurement campaign (8 June–17 July 2012), EARLINET organized and performed a controlled exercise of feasibility to demonstrate its potential to perform operational, coordinated measurements and deliver products in near-real time. The paper describes the measurement protocol and discusses the delivery of real-time and near-real-time lidar-derived products. 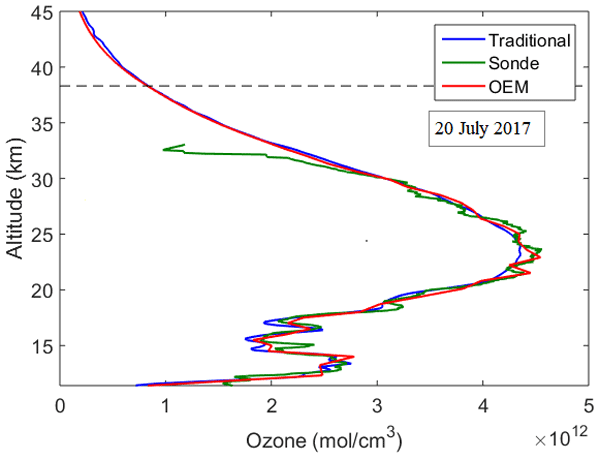 We report on a method to combine simultaneous radiosonde and microwave radiometer measurements in order to obtain the SASBE of the vertical ozone distribution above Payerne, Switzerland. The two measurements are combined by using the radiosonde ozone profile as a priori information in the optimal estimation retrieval of the microwave radiometer. 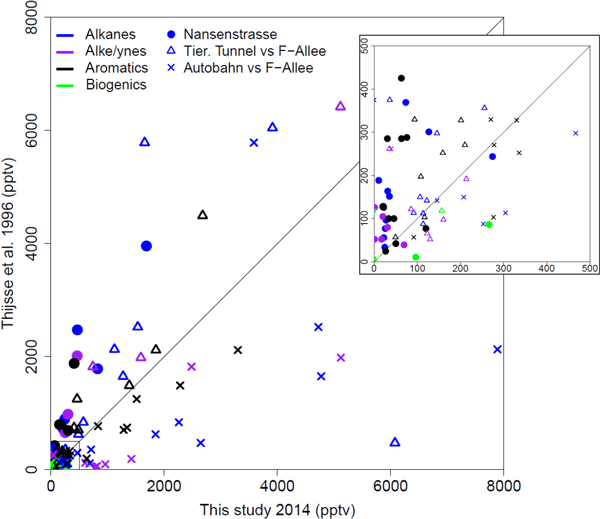 A comparison of the SASBE ozone profiles with AURA/MLS ozone profiles is presented. An operational planetary boundary layer height detection method with several remote sensing instruments (wind profiler, Raman lidar, microwave radiometer) and algorithms (Parcel and bulk Richardson number methods, surface-based temperature inversion, aerosol and humidity gradient analysis) was validated against radio sounding. A comparison with the numerical weather prediction model COSMO-2 and the seasonal cycles of the day- and nighttime PBL for two stations on the Swiss plateau are presented. 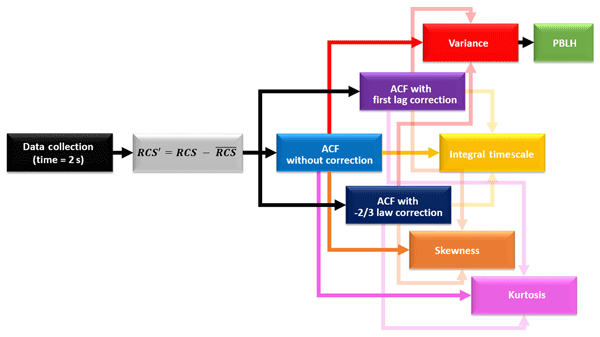 The paper provides the community with criteria to quantify the value of complementary climate measurements and to assess how the uncertainty in a measurement of an ECV is reduced by measurement complementarity. 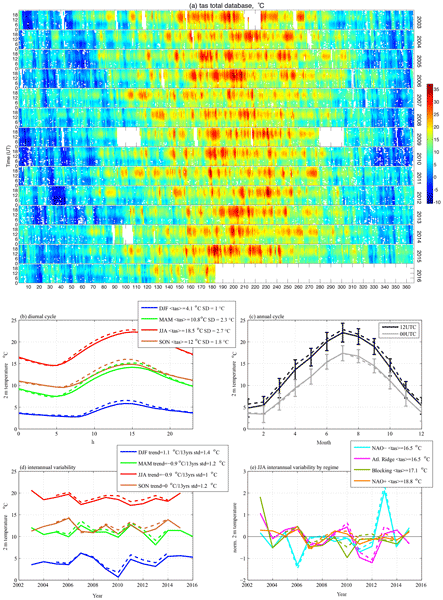 The study demonstrates the potential of entropy and mutual correlation, defined in information theory as metrics for quantifying synergies, and shows that the random uncertainties of a single instrument time series of TCWV can be strongly reduced by including complementary measurements. 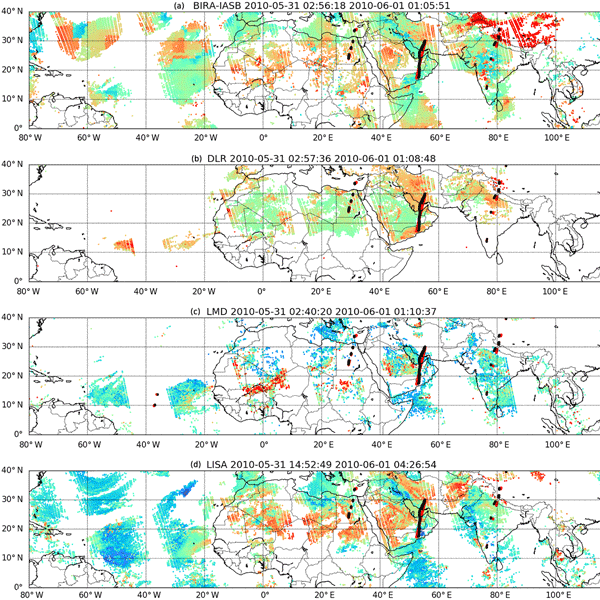 Global aerosol data sets are essential for assessing climate-related questions. When comparing data sets derived from twin satellite sensors, we find consistent global offsets between morning and afternoon observations. Applying satellite-like sampling to a global model derives much weaker morning/afternoon offsets, suggesting that the observational differences are due to calibration. However, applying additional calibration corrections appears to reduce (but not remove) the global offsets. In this study, we perform global validation of MODIS high-resolution (3 km) AOD over global land by comparing against AERONET measurements. The MODIS–AERONET collocated data sets consist of 161 410 high-confidence AOD pairs from 2000 to 2015 for Terra MODIS and 2003 to 2015 for Aqua MODIS. We find that 62.5 and 68.4 % of AODs retrieved from Terra MODIS and Aqua MODIS, respectively, fall within previously published expected error. The accurate monitoring of climate based on the use of low-cost and low-maintenance automatic system represents one of the challenges for the scientific community and instrument manufacturers for the next decade. In the frame of two experiments, INTERACT and INTERACT-II, taking place at CIAO (CNR-IMAA Atmospheric Observatory) in Tito Scalo, Potenza, Italy, commercial low-cost lidars have been compared with advanced lidar systems to assess their performances. Comparing AOD measurements from MODIS (Terra and Aqua), sun photometer and pyrheliometers broadband instruments in Cuba. Aerosol layer height (ALH) was retrieved from the OMI 477 nm O2–O2 band and its spatial pattern evaluated over selected cloud-free scenes. We used a neural network approach previously trained and developed. Comparison with CALIOP aerosol level 2 products over urban and industrial pollution in east China shows consistent spatial patterns. In addition, we show the possibility to determine the height of thick aerosol layers released by intensive biomass burning events in South America and Russia. 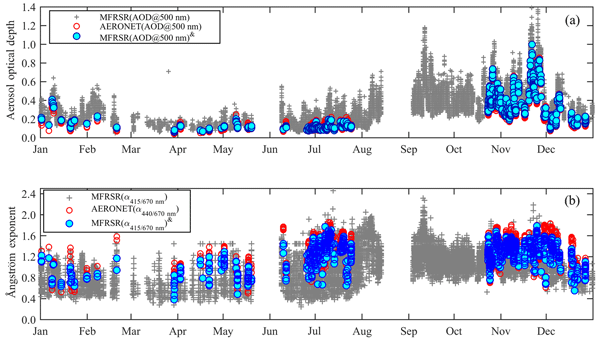 Observations of multiwavelength Mie–Raman lidar during smoke episode over West Africa are compared with the vertical distribution of aerosol parameters provided by the MERRA-2 model. The values of modeled and observed extinctions at both 355 nm and 532 nm are also rather close. The model predicts significant concentration of dust particles inside the smoke layer. This is supported by a high depolarization ratio of 15 % observed in the center of this layer. 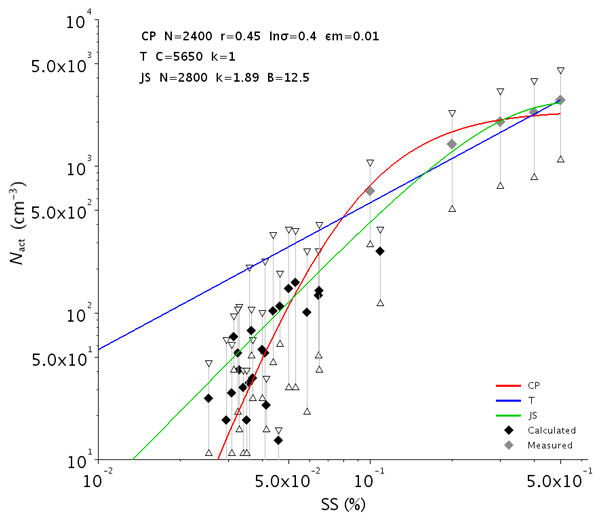 We study the collocation mismatch uncertainty related to validating coarse-resolution satellite-based aerosol data against point-like ground based measurements. We use the spatial variability in the satellite data to estimate the upper limit for the uncertainty and study the effect of sampling parameters in the validation. We find that accounting for the collocation mismatch uncertainty increases the fraction of consistent data in the validation. This study presents a comparison between active (CALIOP) and passive (POLDER) remote sensing methods, developed for retrieving aerosol above-cloud optical and microphysical properties. Main results show a good agreement when the aerosol microphysics is dominated by fine-mode particles or coarse-mode dust or when the aerosol layer is well separated from the cloud below. The paper is also focused on understanding the differences between the retrievals and the limitations of each method. The detection of volcanic ash plumes and knowledge of their properties have been of increasing interest due to the effect ash particles can have on the aviation industry. 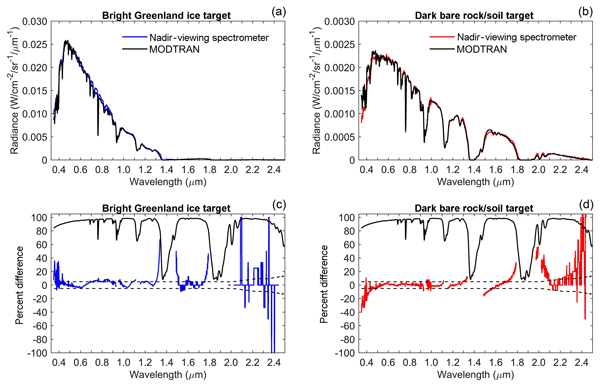 A new method is shown for use with hyperspectral satellite instruments, such as the Infrared Atmospheric Sounding Interferometer, to derive optical and physical properties of volcanic ash. The results are compared to ancillary data sources, showing good agreement, which indicates better characterisation of volcanic plumes. Multi-axis differential optical absorption spectroscopy (MAX-DOAS) measurements were performed in the urban environment of Madrid, Spain, where Sahara dust intrusion sometimes occurs. The study shows a high performances in the retrieval of aerosol optical depth, the surface extinction coefficient and an elevated layer during dust episodes, validated by AERONET in situ and modeling data. It is essential to capture the extinction properties of both local aerosol and Saharan dust. Validation of the above-cloud aerosol optical depth retrieved using the "color ratio" method applied to MODIS cloudy-sky measurements against airborne direct measurements made by NASA’s AATS and 4STAR sun photometers during SAFARI-2000, ACE-ASIA 2001, and SEAC4RS 2013 reveals a good level of agreement (difference < 0.1), in which most matchups are found be constrained within the estimated uncertainties associated with the MODIS retrievals (-10 % to +50 %). 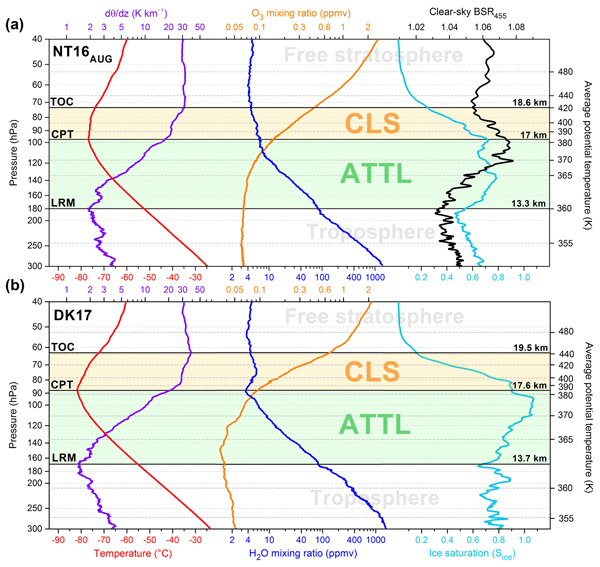 We compare stratospheric aerosol loading computed with a new computer algorithm with various established datasets to determine the overall agreement. Since the new results are based on observation of starlight through the Earth's atmosphere, various aspects of these measurements can influence the final results. A systematic analysis of these aspects, such as the star brightness and temperature, is carried out to see if, and how, they influence the agreement of the results with other datasets. Aerosol optical depths derived by the OMI near-UV algorithm are evaluated against independent observations over the ocean. The comparison resulted in differences within the expected levels of uncertainty. In addition, in clear sky conditions, the retrieved AODs compare well with independent measurements but they are biased high in partially cloud-contaminated pixels. Additional sources of discrepancies are documented and will be corrected in future versions of the algorithm. 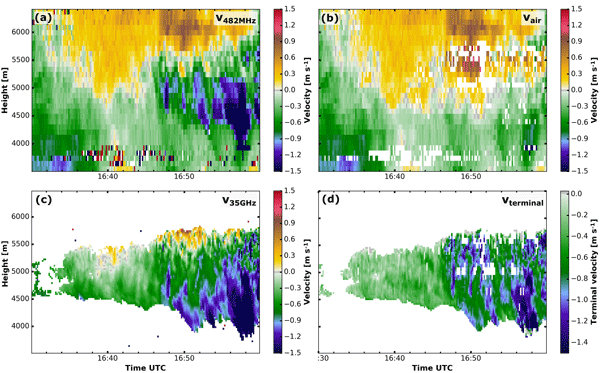 A satellite based surface visibility retrieval has been developed for the GOES-R ABI instrument using MODIS proxy data and validated using independent ASOS surface visibility measurements. Variability in the frequency of clear sky (aerosol) surface visibility retrievals larger than 20 dV is shown to be correlated with seasonal and interannual variability in fire detections, illustrating the importance of smoke from wildfires in regional haze events. This article presents validation results for stratospheric aerosol extinction profiles retrieved from limb-scatter measurements with the SCIAMACHY instrument on the Envisat satellite. The SCIAMACHY retrievals are compared to co-located measurements with the SAGE II instrument. Very good agreement to within about 15% is found in a global average sense at altitudes above 15 km. 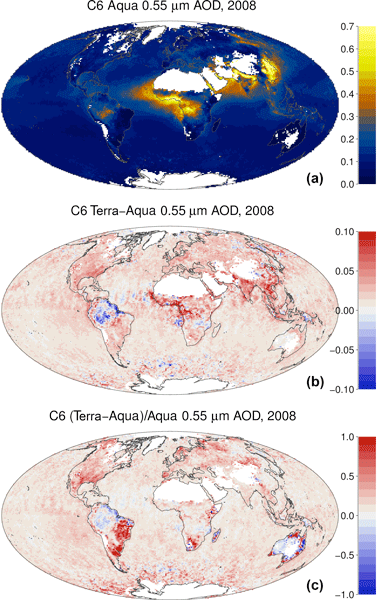 The article also presents sample results on the global morphology of the stratospheric aerosol layer from 2003 to 2011. Clear communication of the uncertainty on data is necessary for users to make appropriate use of it. This paper discusses the representation of uncertainty in satellite observations of the environment, arguing that the dominant sources of error are assumptions made during data analysis. 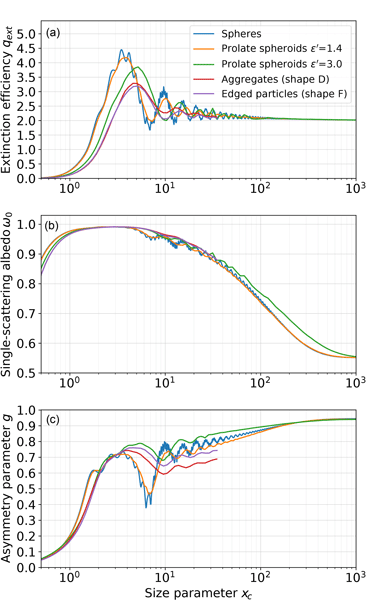 The resulting uncertainty may be more usefully represented using ensemble techniques (a set of analyses using different assumptions to illustrate their impact) than with traditional statistical metrics. The primary objective of the Complex Aerosol Experiment was measurement of microphysical, chemical, and optical properties of aerosol particles in the surface air layer and free atmosphere. The measurement data were used to retrieve the whole set of aerosol optical parameters, necessary for radiation calculations. Three measurement cycles were performed within the experiment during 2013: in spring, summer (July), and in late summer/early autumn.